If you’re a CE, you know that managing ACCME compliance when it comes to PARS is not for the faint of heart. With so many requirements—and just as many ways to easily make an error—you’ll need support as you navigate the PARS submission process. Ranging from data collection to PARS upload, here’s what hospitals and associations need to know. All ACCME accredited providers must use the Program and Activity Reporting System (PARS) to submit reports on CME activities. American Board of Pediatrics (ABP). CME providers can use the PARS web portal to submit data, as well as XML batch upload, tab-delimited upload, or using other web services such as EthosCE. 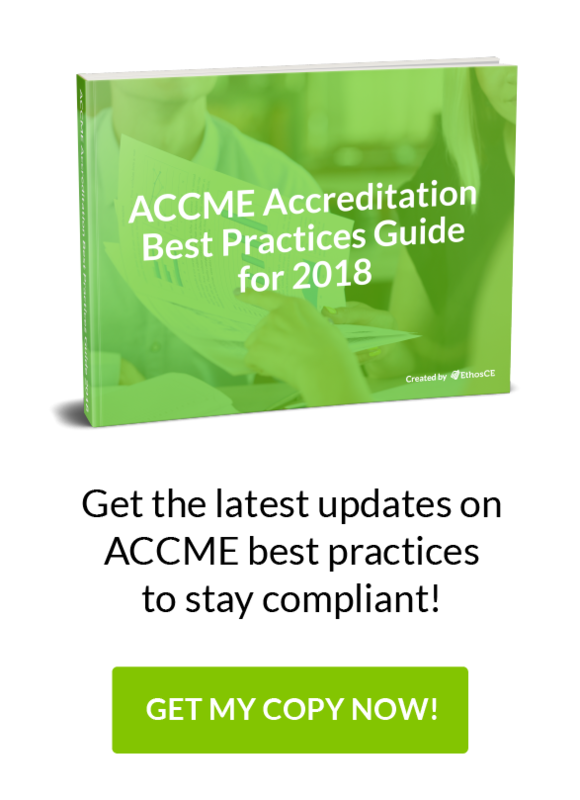 ACCME uses PARS data to validate performance-in-practice reviews for initial accreditation, reaccreditation, and progress reports. Beginning with the November 2018 cohort, the entire accreditation process will be moved online to PARS. CME providers will have access to their accreditation history through PARS. ACCME has modified PARS to allow accredited CME providers submit information specific to the Extended-Release and Long-Acting Opioid Analgesics REMS CME activities they provide. You’re required to complete financial data on the Program Summary tab in PARS for each Reporting Year. The only type of monetary income that you may report through this upload is the amount of commercial support received for specific activities. You will need to use the PARS Program Summary form to manually enter data about the four other types of income listed above. The last step in year-end reporting requirements is your attestation to the accuracy and completeness of their reported data on the Program Summary. Once you have verified submitted information for a Reporting Year, you cannot add or update activities, or make any changes to the Program Summary. Accredited providers may use the web form in the PARS interface to complete the specific questions required to register the activity for MOC. Providers may also use the XML batch activity upload method and include the specialty board’s MOC registration data in the XML upload file. This same XML format can be used to register activities via ACCME’s web service. You cannot batch upload the MOC registration information for activities using the tab-delimited option. If you enter the general information for activities required by PARS via tab-delimited text batch upload, the specialty board’s MOC registration fields must then be completed individually via the web form for any activity that you wish to register for MOC. This is a summary of only a few ACCME PARS submission guidelines. Collecting, analyzing, and presenting critical data on your CME programming is a task that you shouldn’t attempt to manage on your own. Ethos CE offers CME organizations a “one-click” PARS submission solution, allowing them to automatically generate reports and submit in a fraction of the time that a manual submission would take. Design to change competence/Performance/Patient outcomes. Want to learn more? EthosCE has been working with CME providers for more than 16 years to make PARS submissions painless. You can click here now to request a time to speak 1-on-1 with our CME technology experts to explore new ways you can simplify your ACCME accreditation submission process!